This year we got an inside look at the North American International Auto Show in Detroit as well as the Chicago International Auto Show. At both we saw countless concept and production cars from companies around the world. One of the most interesting ones that left us buzzing was none other than a bit of a retro throwback: the new Volkswagen Microbus. You read that last part right. Volkswagen is bringing back their iconic, hippie-favorite microbus. And as appropriate for 2010s standards, it will be all electric. Officially calls it the I.D. Buzz electric van. It has unique futuristic styling’s enhancing the iconic original. It is also set to have full autonomous functionality. 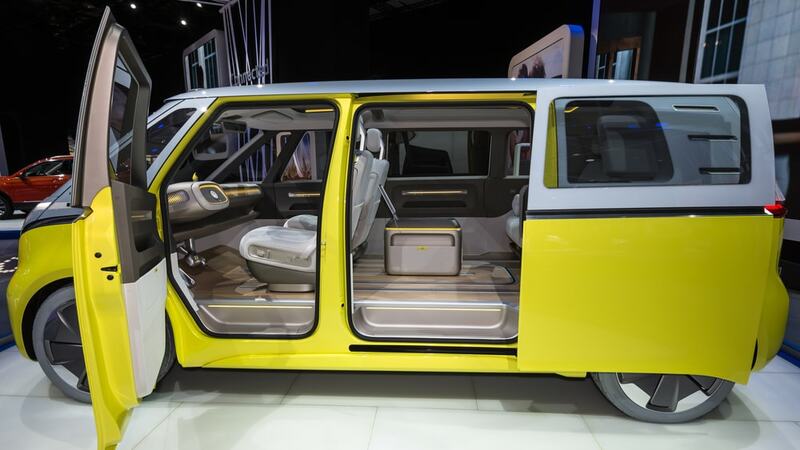 That all seemed well and good, but this would not be the first time VW attempted to resurrect the microbus. However this is no mere concept meant to hit you in the nostalgia spot. 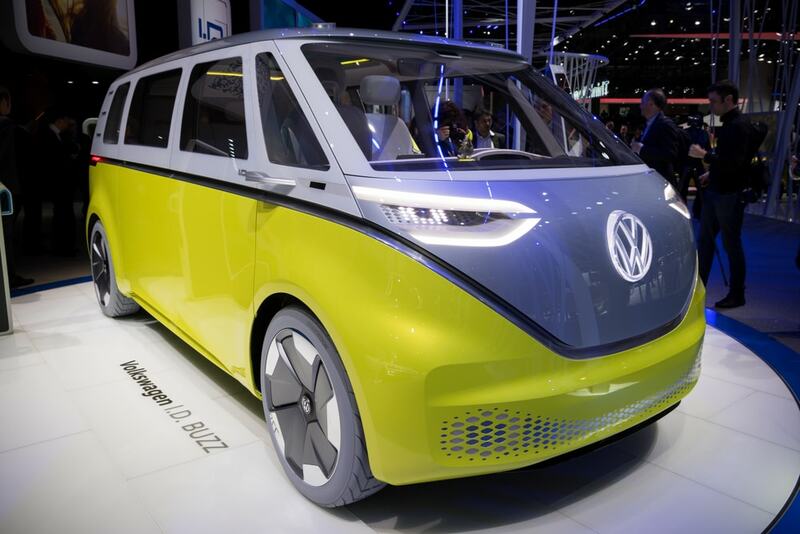 Volkswagen confirmed that the I.D. Buzz will indeed arrive at dealerships in 2022. And if that was not enough, they also let members of the press test drive the car along the beautiful California coast. 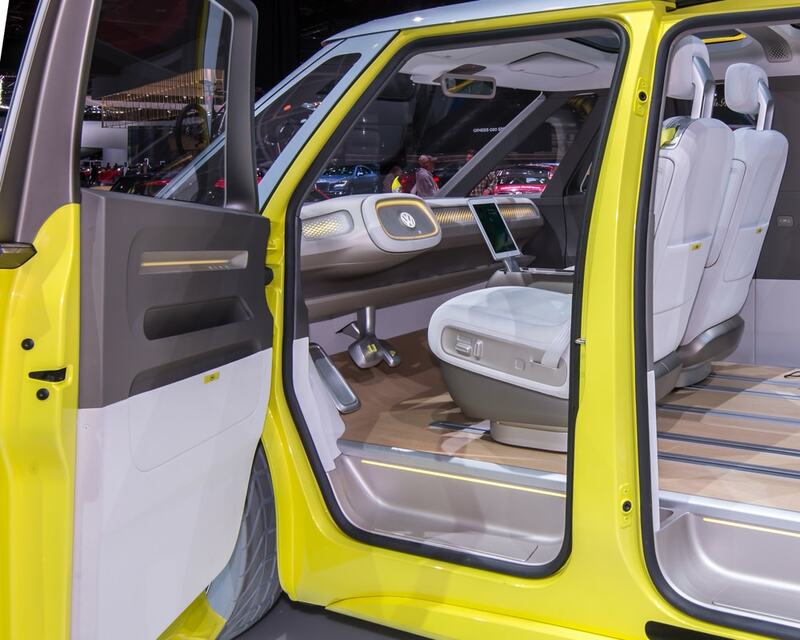 The ability to have a constantly re-configuring interior is a remarkable idea from Volkswagen. They think of it likes a trendy “living room on wheels.” The interior is comprised of comfortable, wide-open and bright layouts. It’s very home-y. The I.D. Buzz is all-electric but having retro style on the outside isn’t enough to make up for range and performance. When they first showed off the I.D. 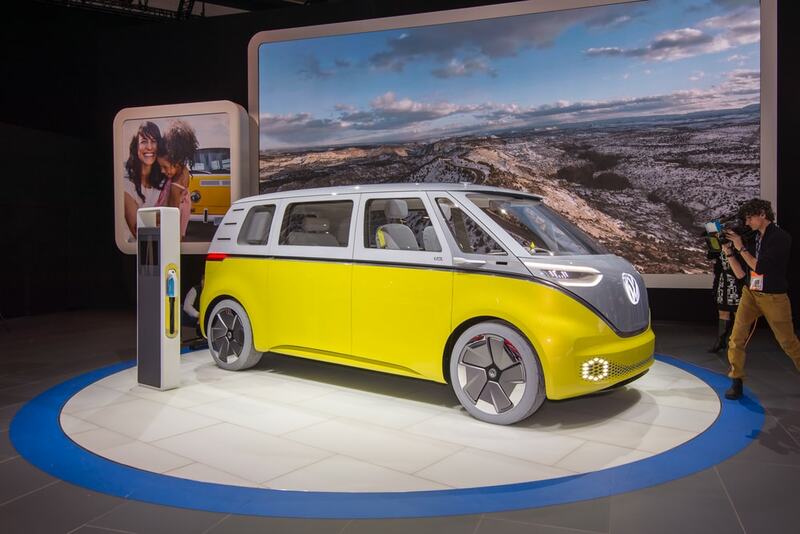 Buzz concept, VW claimed that their battery pack would give it about 270 miles of range on the American EPA cycle. If that doesn’t sound enticing, they also told the press it puts out 369 horsepower on an all-wheel drive system. For some perspective, the original microbus only had about 25hp. The I.D. Buzz is now capable of zipping from zero to 60 in less than five seconds. 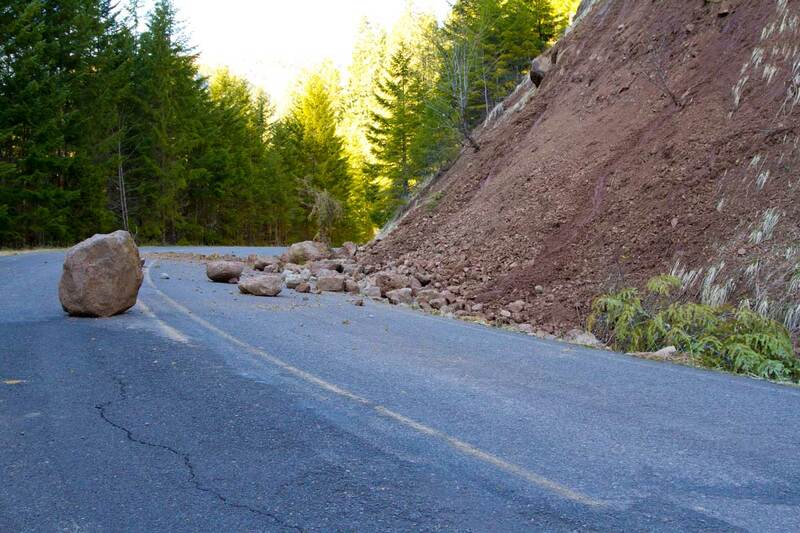 Of course, the target buyer for the car probably won’t be thinking of taking it to the track anytime soon. All the more important would be the autonomy features VW teased. All you need to do is press on the large VW logo on the steering wheel: the wheel folds back into the dashboard. When you have self-driving activated, the drivers’ seat can swivel and rotate 180 degrees to face the rear passengers. How Does the EV Volkswagen Microbus Drive? In order to go inside and take a seat, you will glide your fingers along a touch-panel situated within the car’s inset beltline. Behold: the doors open themselves automatically. Once you hop in the doors will close them, akin to Tesla’s the Model X. Once the car is on all you need to do is step on the brake pedal and press the “D” on the steering wheel to get moving. Each gear will illuminate as you go. Test drivers remarked that the Buzz’s steering is tight while also feeling comfortably light. Apparently when they turn up what VW calls “electronic boosting” to the max, the driver feedback is minimized for the better. However one knock is that steering is apparently slow, which is too close to a real bus for many drivers. No word on acceleration since VW had journalists keep a low speed on a closed course. The signature “bread loaf” shape of the Microbus is ingrained in the pop culture memory. That is whether you remember Scooby Doo or Little Miss Sunshine or not. For VW, while the specter of Diesel-gate looms heavily upon them, the release of this and like cars could help win some goodwill here in the US.